Resolve issues before they turn into a headache! 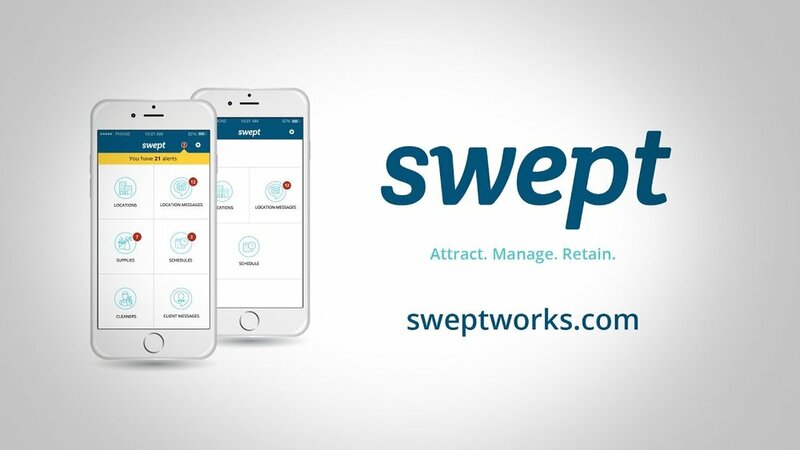 Swept's public survey feature gives you a channel for your janitorial company to collect valuable feedback. Being proactive isn’t always possible when cleaning large spaces. Getting in front of an issue before it’s reported back to your client is a great way to make sure they see the value in your cleaning services. Public surveys allow you to place custom stickers in spaces you’d like to collect public feedback from. 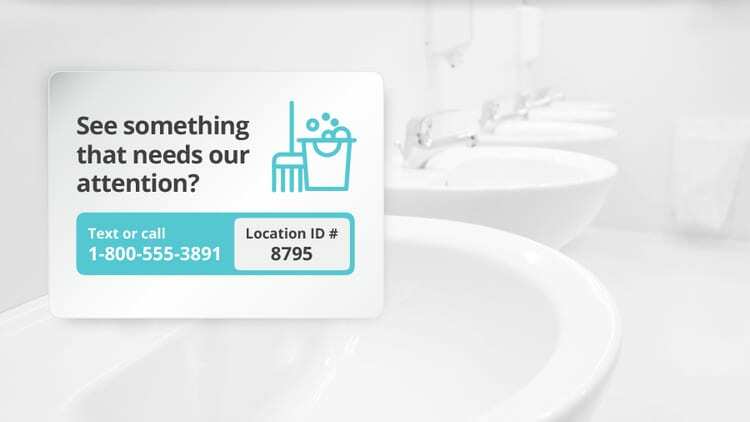 Swept offers custom stickers with a unique location code and phone number to provide an opportunity for public, anonymous feedback by voice or by SMS text. The public can use SMS or Voice IVR (Interactive Voice Response) to anonymously report problems or provide general feedback using sms or simply calling the number provided. 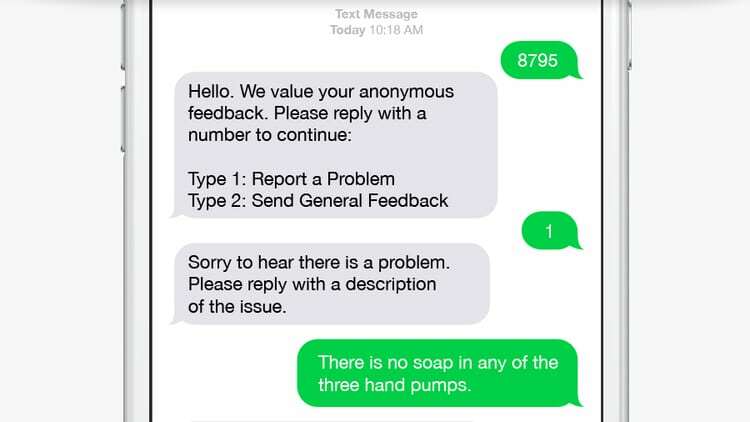 The Swept system automatically replies to the person sending the text in real time, letting them know “We’re looking into the issue now”. Each submission will also ask them to rate the cleanliness of the location they’re in. This provides additional context for the feedback provided. In addition to real time email and SMS notifications, Swept will log all responses for review. Text messages, voice messages, and cleanliness ratings are all presented in a single, easy to use, interface. 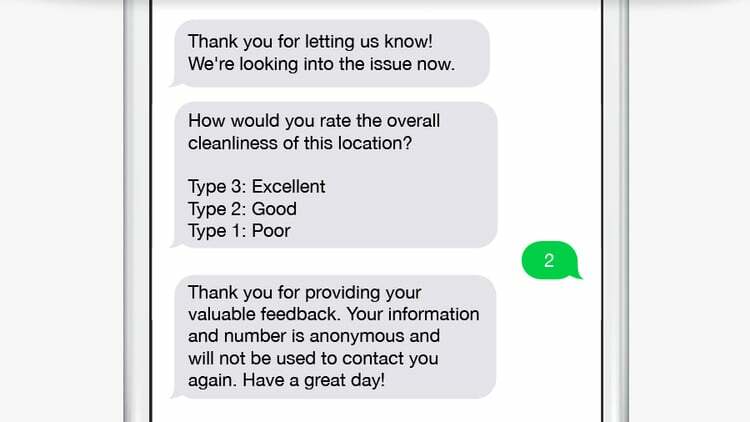 These responses allow you to stay on top of problems reported in your cleaning locations. 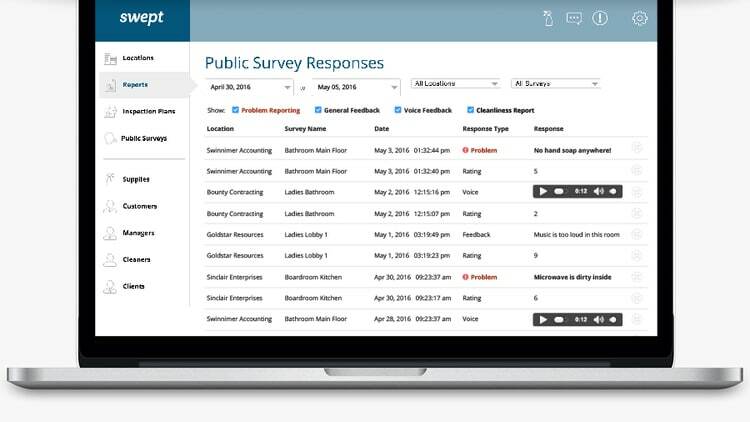 Looking for Public Surveys for Janitorial Businesses Software?